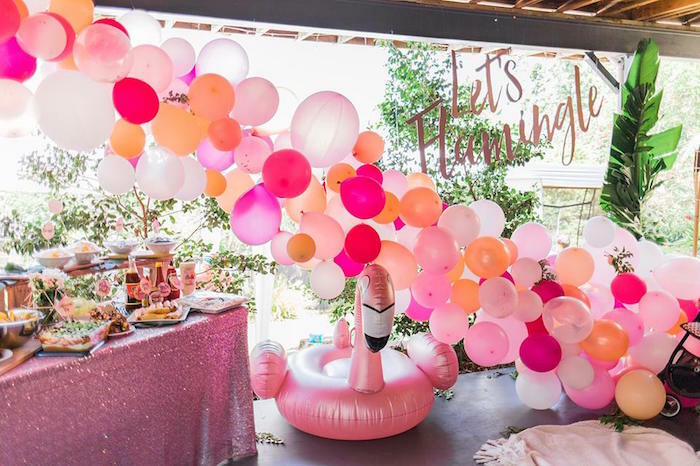 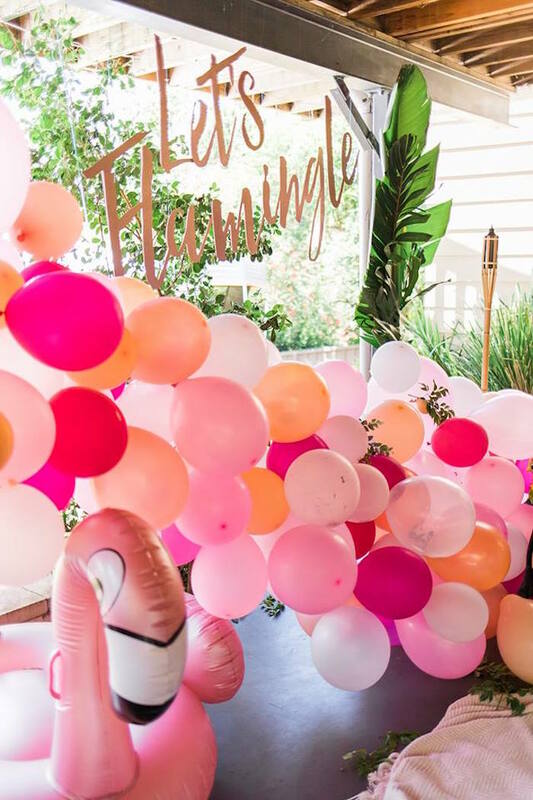 Lift your foot and fluff your feathers, this “Let’s Flamingle” Tropical Flamingo Birthday Party by Rebecca King, of Wolfpack and Co, out of Newcastle, NSW Australia, will certainly bring pleasure! 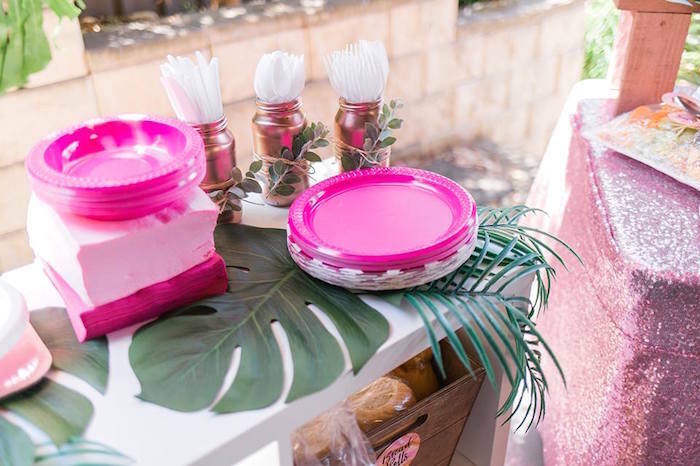 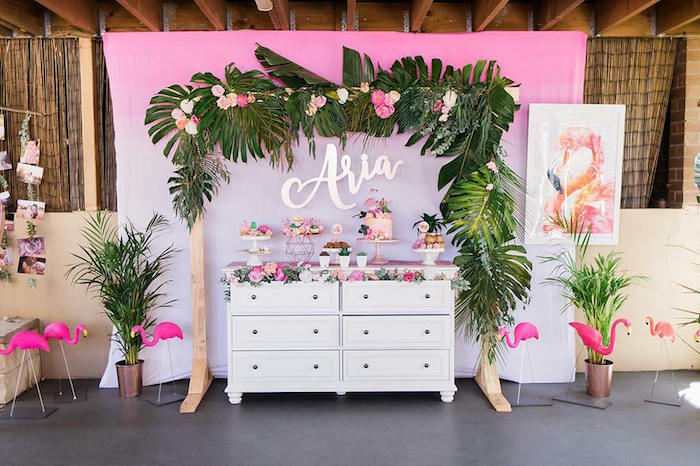 Filled with elements so vividly pink, this darling party is a tropical drink! 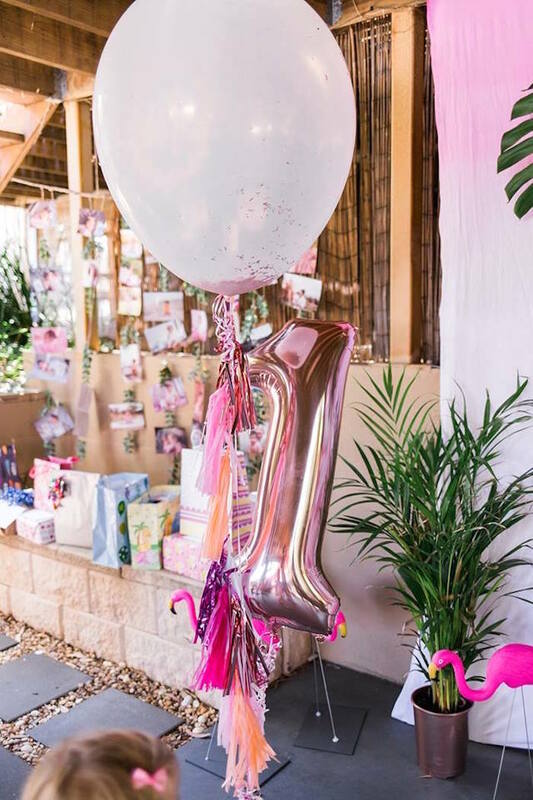 Finally recovered after our little one’s birthday party so I thought I’d send it in to share our amazing party (haha). 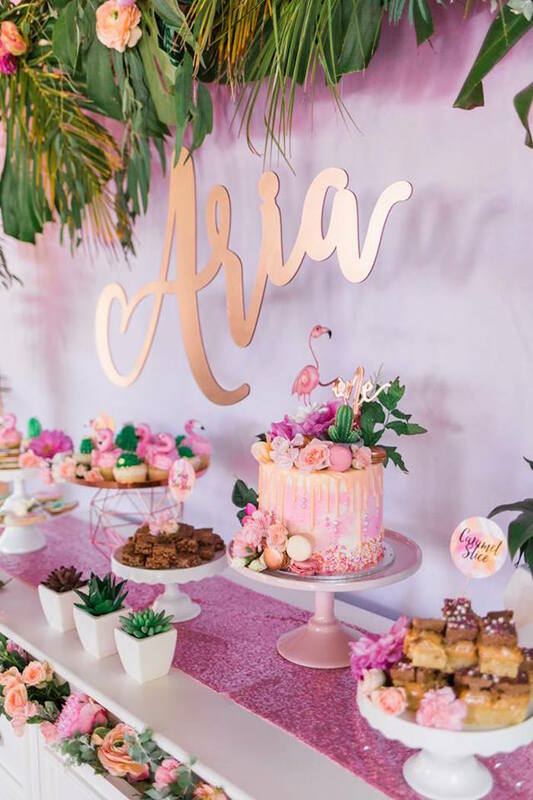 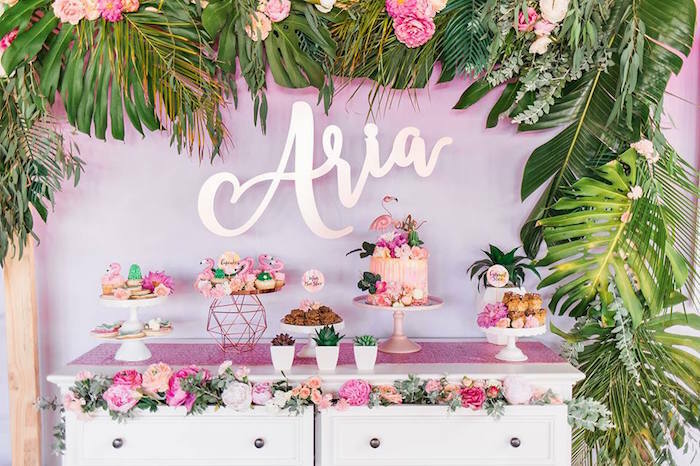 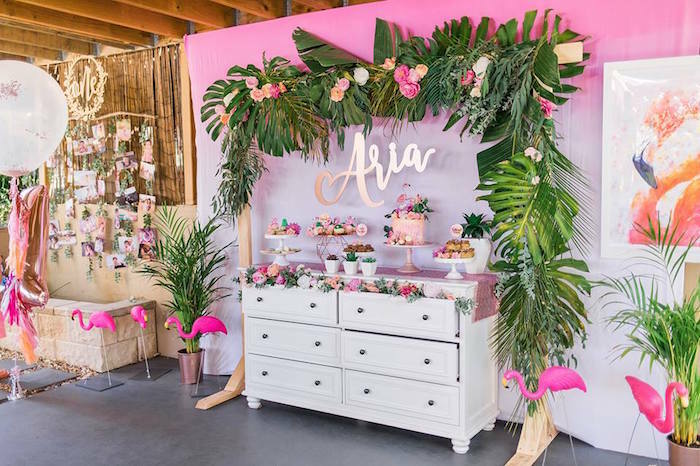 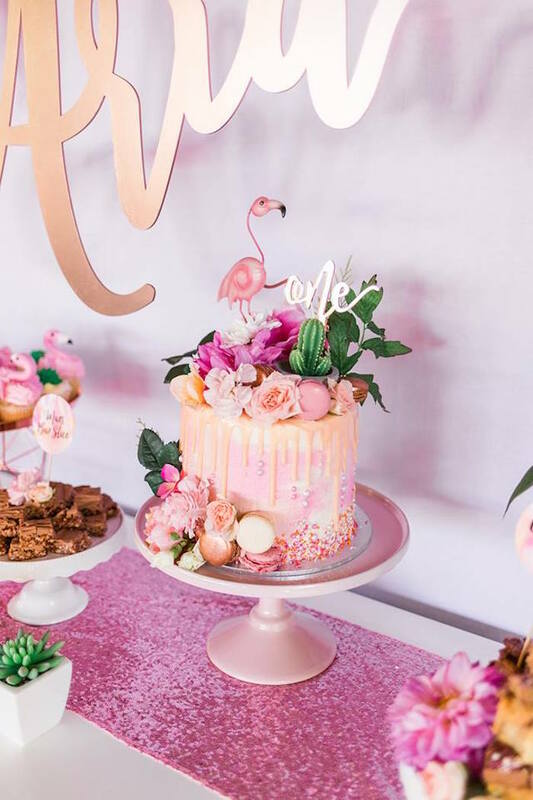 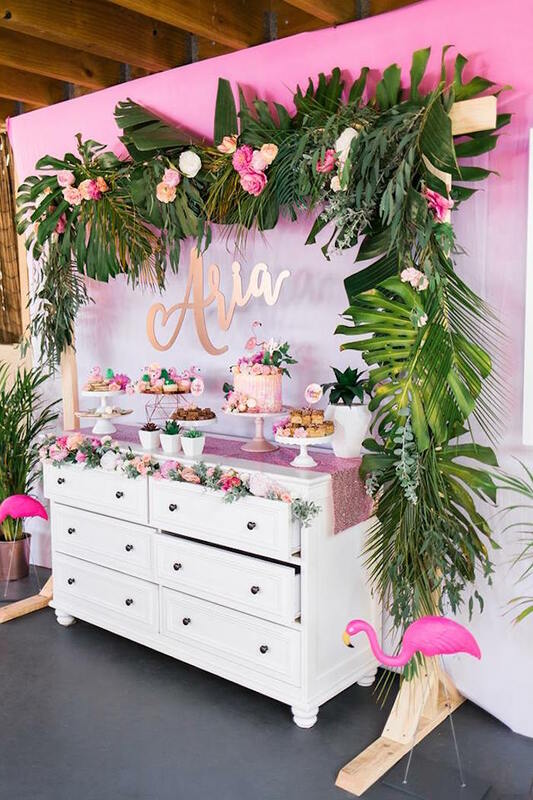 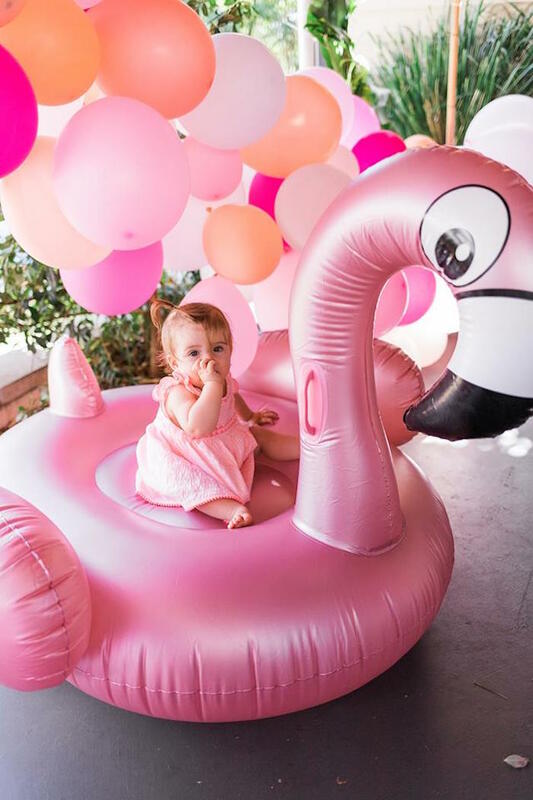 Last time we did a Boho first birthday party for my oldest, so I thought we would do something totally the opposite and just go all shades of Pink with some flamingoes in a Palm Springs theme. 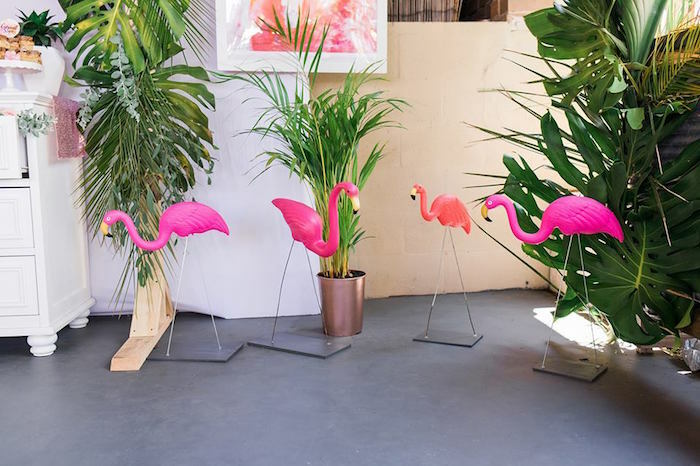 My goal for this party was to find as much pink and flamingoes as I could. 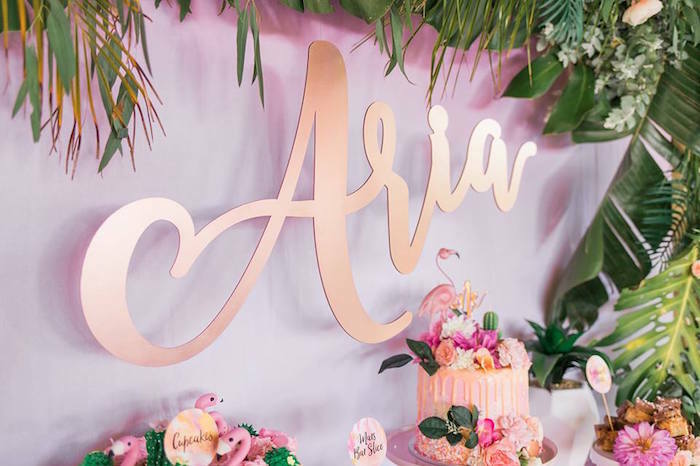 And I wanted a touch of Rose gold too, but at times this was difficult, and I had to find spray paint in rose gold to make this work. 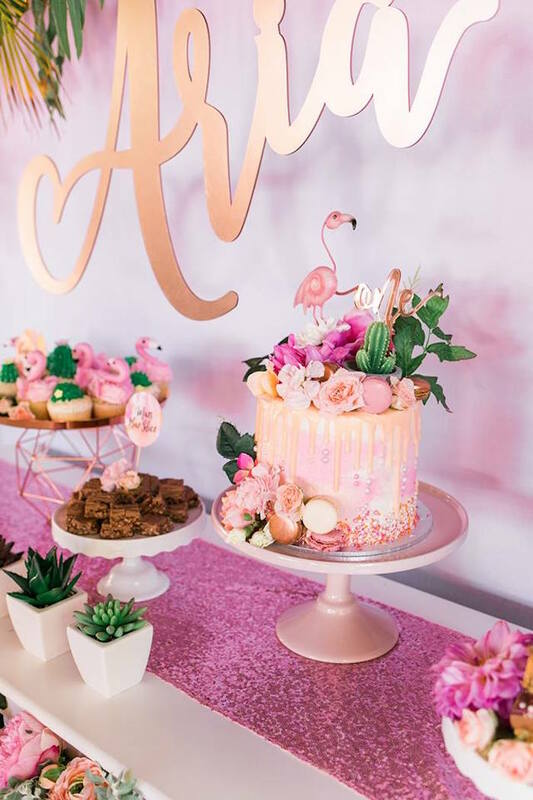 My husband and I spent weeks planning this party, and even on the night stayed up till 3:30am doing decorations, only to wake up again at 6am ready to party. 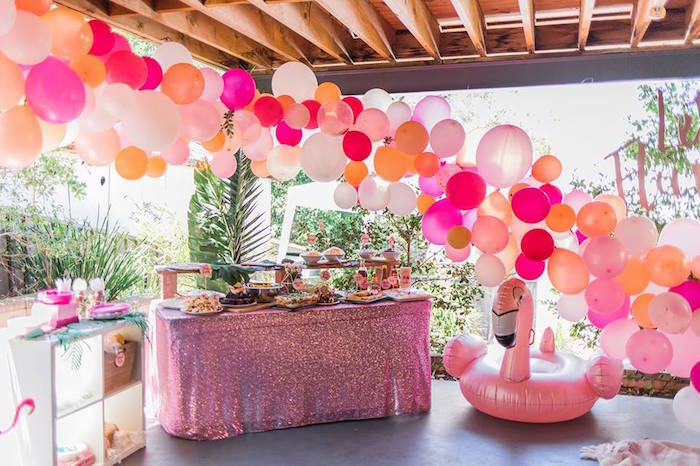 Absolute loved this party, but I am totally wrecked now and might need a year to recover from this. 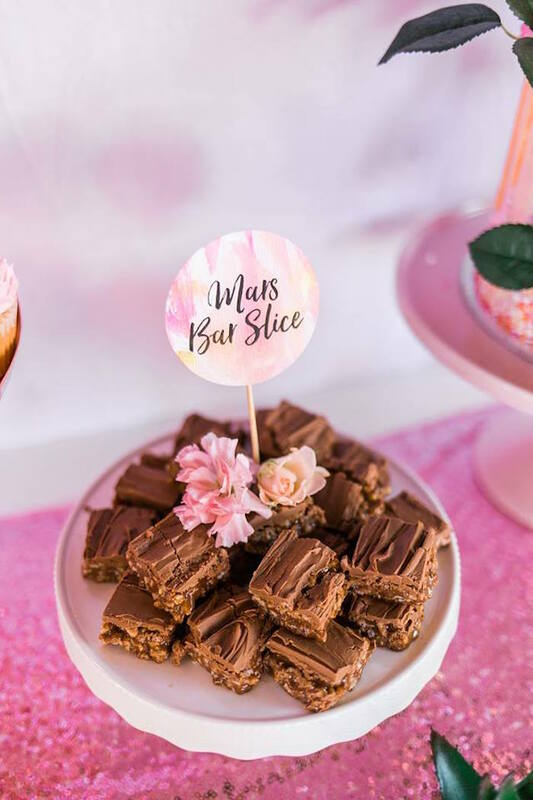 The cake is actually a Woolworths mudcake hack (Australian thing), and has 3 x $4.40 cake stacked on each with a lot of butter cream. 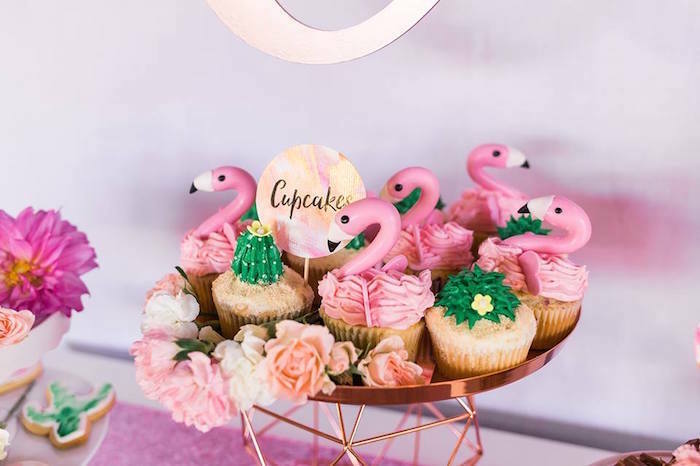 Tasted amazing and you would never know the difference”! 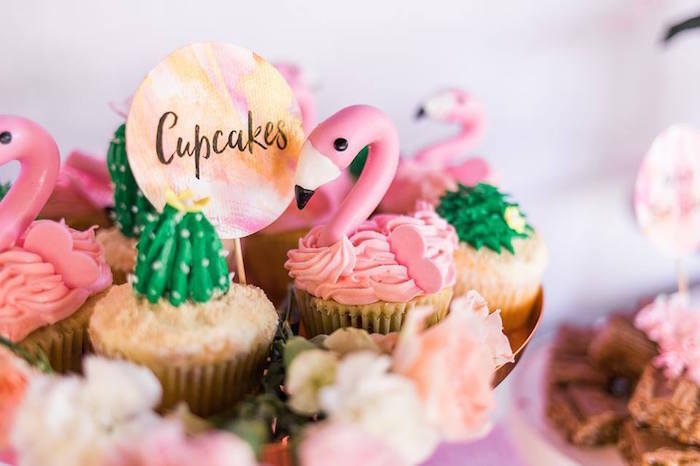 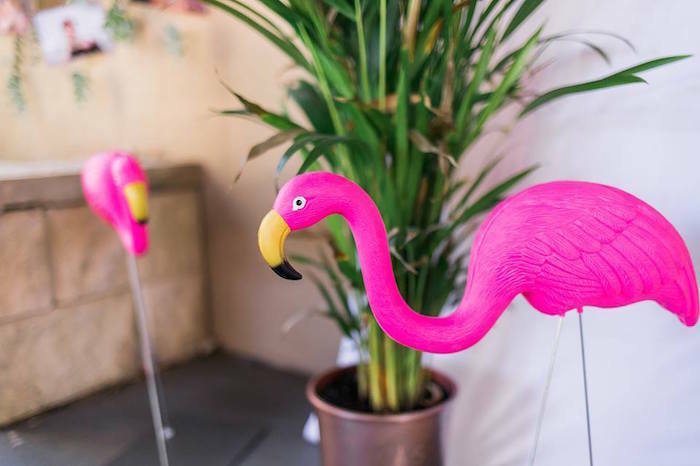 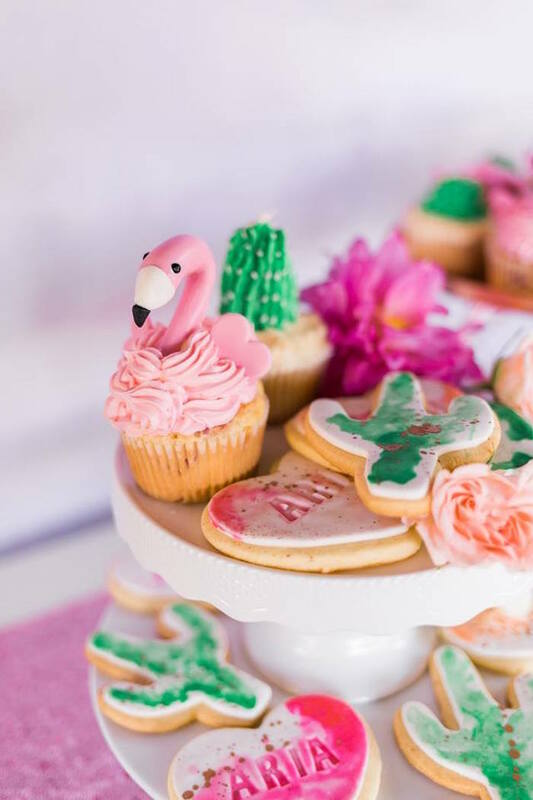 See all of our flamingo party ideas here! 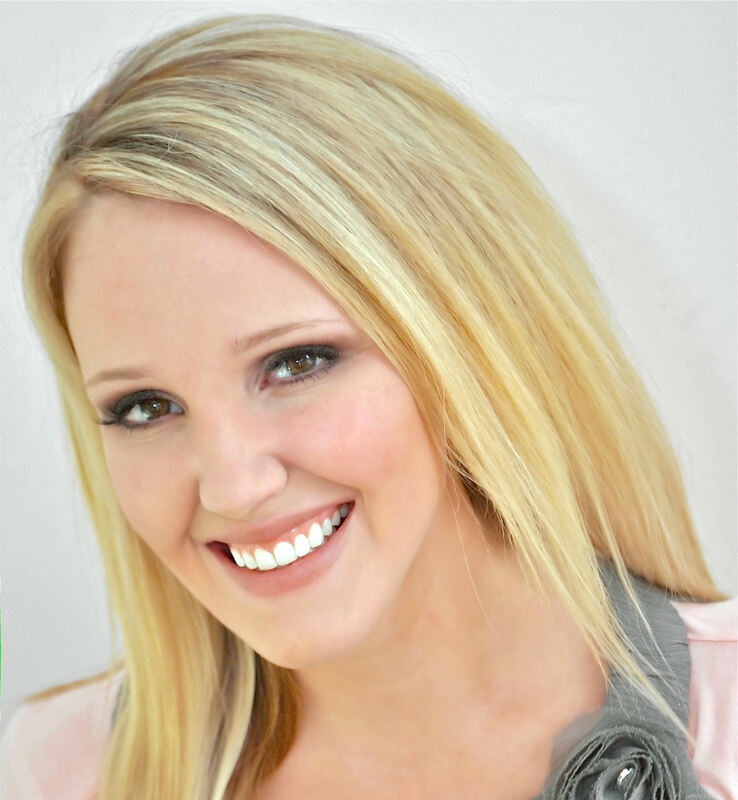 Hello Kara! 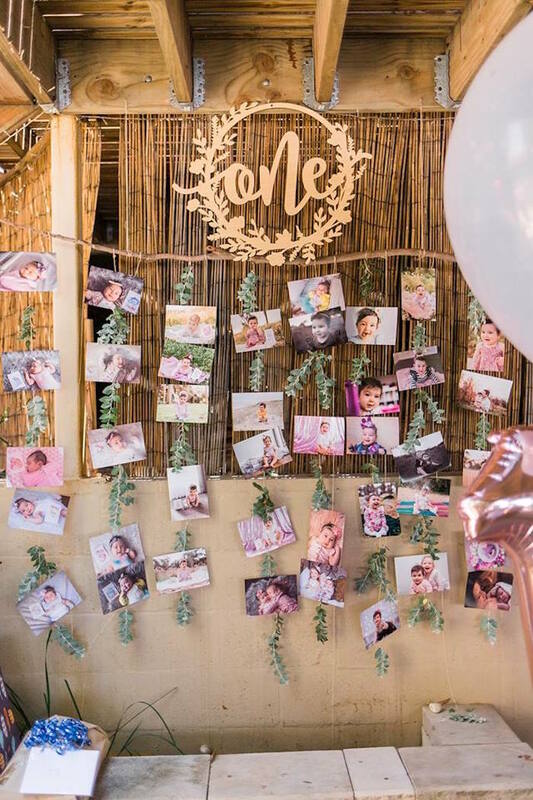 I love the decorations. 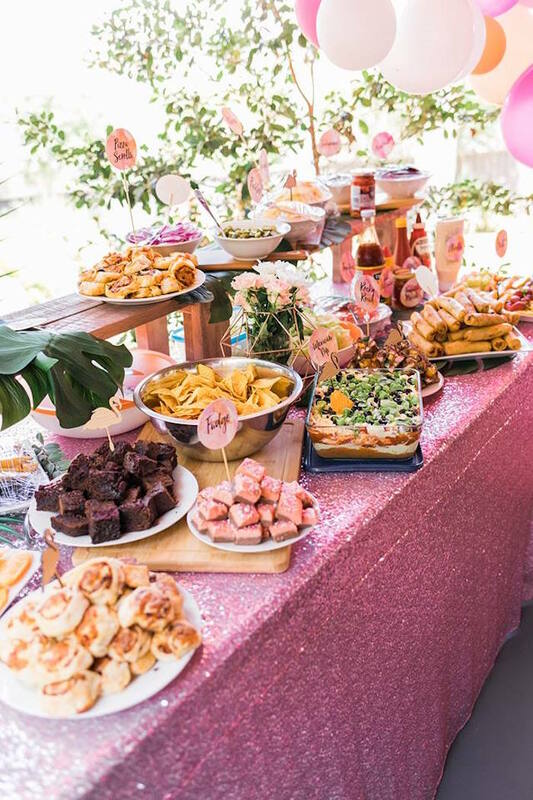 I would like to know where did you buy the cookies and brownies sign.